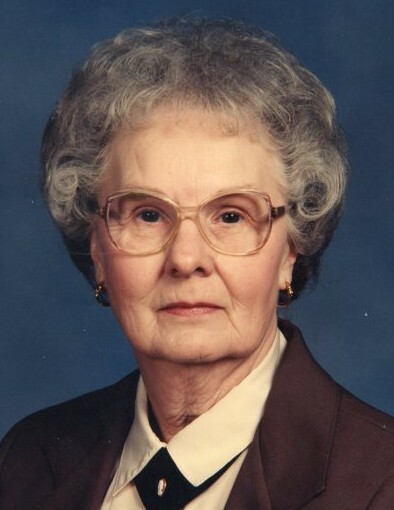 Bernice A. Baculik, 96, of Ford City, died Friday, April 5, 2019, in ACMH Hospital. Born December 4, 1922, in Manor Township, she was a daughter of the late Audley and Margie (Dickey) Hileman. Mrs. Baculik was an active member of Appleby Manor Presbyterian Church, where she belonged to the book club and was very involved with preparing funeral dinners. She also served as a deacon of the church. Bernice was a den mother for the cub scouts and president of the Ford City football mothers' club. She enjoyed baking and cooking, but her family was her first priority. She is survived by two sons, Bob (Susan) Baculik of Southern Shores, NC, and Jim (Cindy) Baculik of Freeport; four grandchildren, Matthew (Nicole) Baculik, Brian (Emily) Baculik, Joshua (Amanda) Baculik, Jessica Baculik, and Lee (Misty) Gardner; and 11 great-grandchildren. In addition to her parents, she was preceded in death by her husband, Anthony Baculik; four brothers, William "Jaye", Richard, Dane, and Robert Hileman; and two sisters, Roberta Steele and Zelma Knepshield. Friends will be welcomed from 2-4 and 6-8 p.m., Wednesday, in the Welch Funeral Home, 1032 Fourth Ave., Ford City. Funeral service will be held at 11 a.m., Thursday, at Appleby Manor Presbyterian Church, with Rev. Marty Neal officiating. There will be additional visitation offered at the church from 10 a.m., until the start of the service. Burial will be in Ford City Cemetery. Memorial contributions may be made to Appleby Manor Presbyterian Church, 810 Main St., Ford City, PA 16226. To send an online condolence, please visit www.welchfh.com.